When you further your learning, your learning can take you further. Get useful tools and equipment for your study. Laptops, Toolboxes et al. Our purpose is to help others realise their purpose. We understand the power of learning and provide you the right financial solutions that enable you to realise your goals and dreams. It’s not just about the money, we are with you throughout your life’s journey providing you with holistic solutions that go beyond finance and enable you to keep learning. Ndinotenda Eduloan nekukwanisa kutipa maloans ukubhadharira vana vangu chikoro umwe ari Grade 6 neumwe ari kunyora gore rino Form 4. 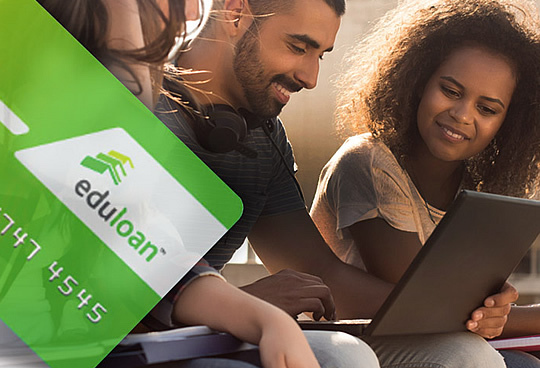 Through Eduloan's financial assistance, I managed to complete my 5-year degree, without any hassles.